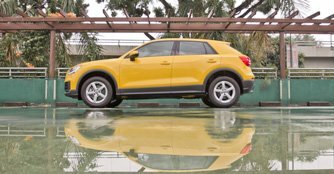 With its cheerful personality, funky aesthetic and acceptable pace, the Audi Q2 1.0 is a simpler affair that makes better financial sense. You must have seen the advertisements already. #lioncity, #finecity, #untaggable, yes, we all remember the hashtag heavy marketing campaign of the Audi Q2. If there was ever a car pointedly dreamed up for the millennial generation, the Q2 is probably it. 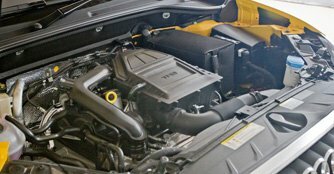 Now we have a new variant of the Q2 that sports a smaller 1.0-litre engine, and this begs the question: Is this the Q2 to have? Yes, the Q2 may be a little hard to classify by traditional car categories, but no matter how you look at it, it's hard to deny its eye-catching looks. Our test car came in a particularly bold shade of yellow, and it fits the car's personality - it's boldly different. 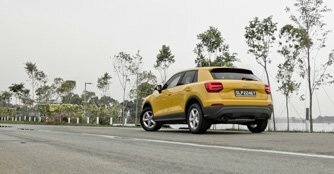 Move into the cabin and the first thing that will catch your eye is the accompanying yellow interior ambient lighting (unique to the Q2 1.0). 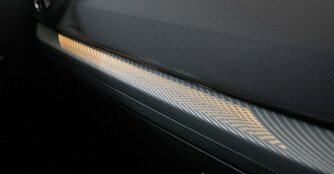 The interior ambient lighting offers a choice of 10 different colours, configured through the infotainment system. It may not have much practical purpose, but it sure looks cool and adds a cheerful ambience to the interior. Beyond that, the rest of the cabin is pretty straightforward Audi fare - modern, stylish design with good usability and practicality. As with most of the new Audi models, this car also comes with the Audi Virtual Cockpit, which allows you to easily access functions like navigation straight on the dashboard. This particular Q2 comes with a 1.0-litre three-cylinder engine, producing 114bhp and 200Nm of torque. 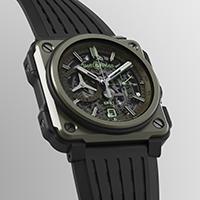 It is a small capacity engine, so there is some expected tardiness when it comes to power delivery. From a standstill, the Q2 requires a bit more effort from your right foot to move off. However, once you are up to speed, the car starts to feel perky. Thus, overtaking manoeuvres on the highway can be done with relative ease. The body feels tight and well-controlled as you go through corners, with body roll kept in check. The car has a cheery dynamic quality to it - it feels more like a hatchback than a sport utility vehicle in the way it allows you to attack corners with ease. However, if we were to nitpick, we'd probably want slightly more pliancy in the suspension, which we reckon is slightly on the stiff side. It's great for chucking the car around, but it's at the expense of ride comfort when driven sensibly. Ultimately, the choice of which Q2 to buy probably comes down to price. And if we were choosing, it'd probably be this one. It is slower than the 1.4-litre version, but honestly, we're not sure anyone buying a car in this segment is overly concerned about speed. We reckon this engine is the better fit for this car. Look past all the funky hashtags and branding premises, and the Q2 is a crossover that gets the job done - it's good-looking, practical and sensible enough assuming you're not regularly trying to fit three people in the back seats. The price difference here isn't an insignificant one - $141,091 for this base model compared to $168,500 for the 1.4-litre variant (as of 14th August). Truth be told, at a price difference of $27,409, you're not really giving up that much when you compare this against the Q2 1.4. If your understanding of a hashtag is simply the thing that indicates a house unit number, this car probably isn't for you. You could be of slightly older age and have a family to consider. What it is, is a funky and quirky vehicle for the out and about millennial. And if you are so disposed to buying a Q2, then in our books, this 1.0 variant is the one to have. It makes better practical and financial sense.